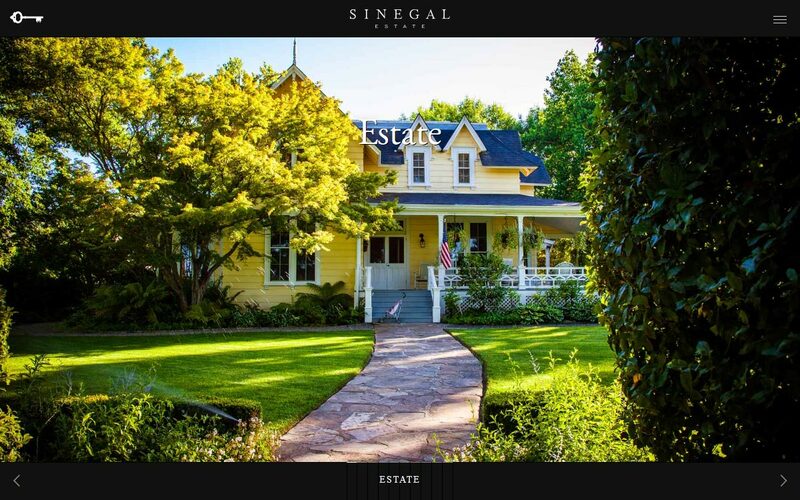 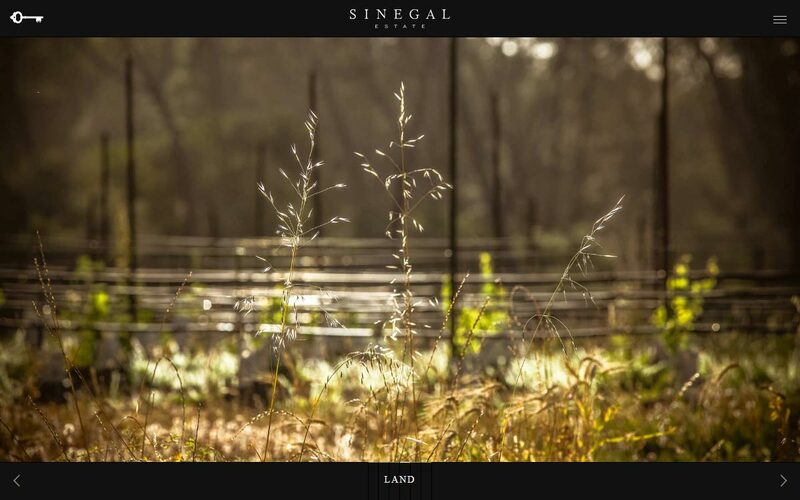 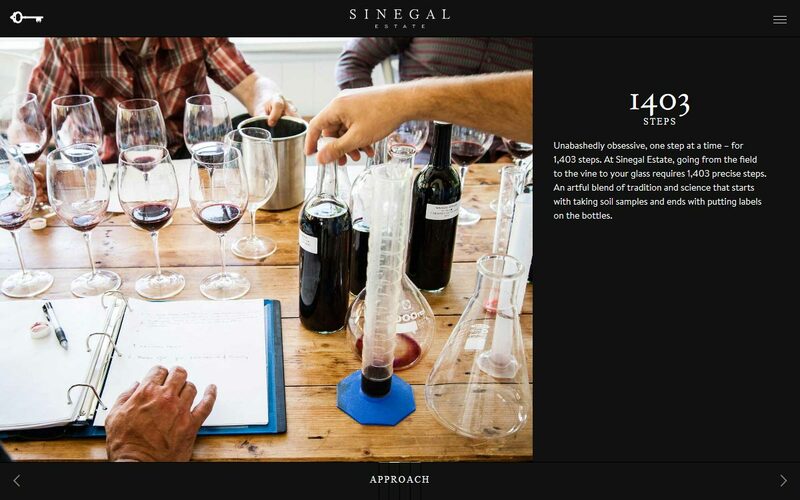 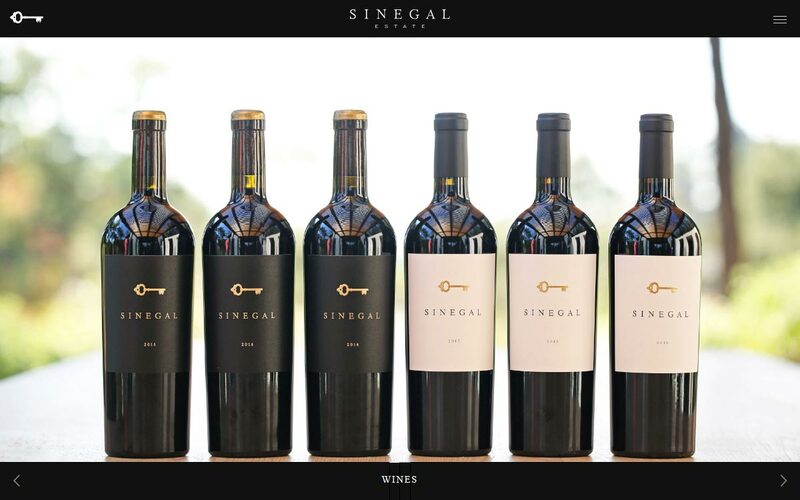 Sinegal Estate produces ultra-premium quality wines from their historic vineyard estate and winery in St. Helena, California. 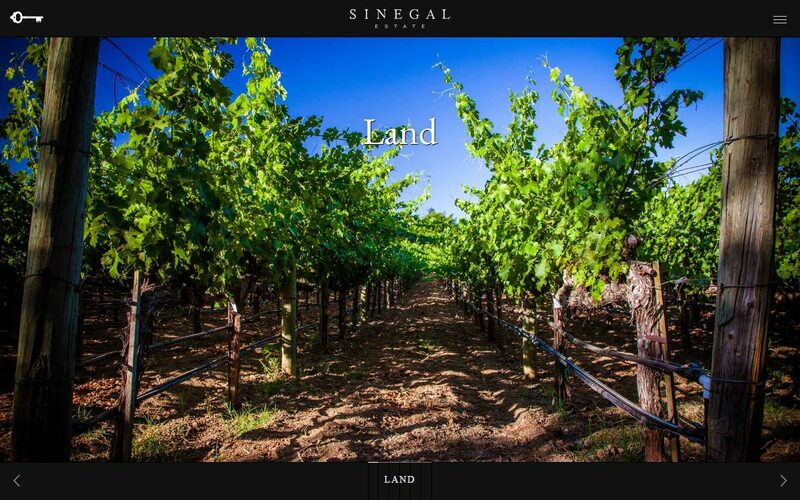 Tell the story of the Sinegal Estate experience in a way that engages and inspires. 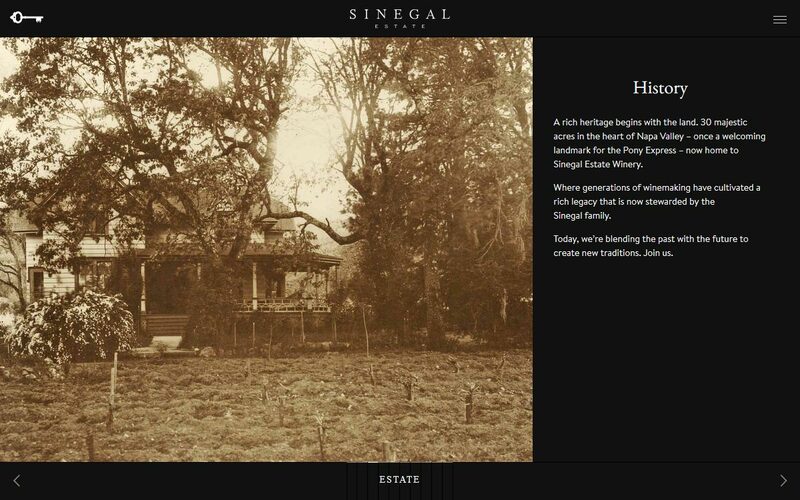 Express the Sinegal Estate brand as an exceptional luxury brand, contemporary with an eye to tradition and heritage. 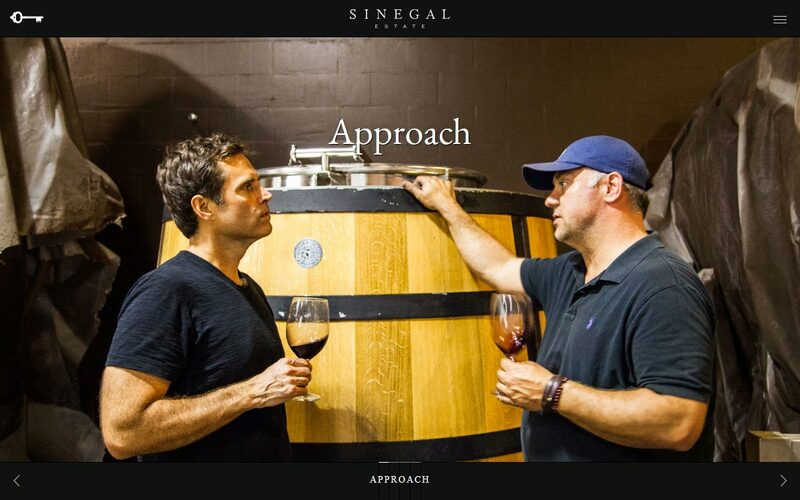 Appeal an exclusive wealthy audience including connoisseurs, collectors, and jetsetters. 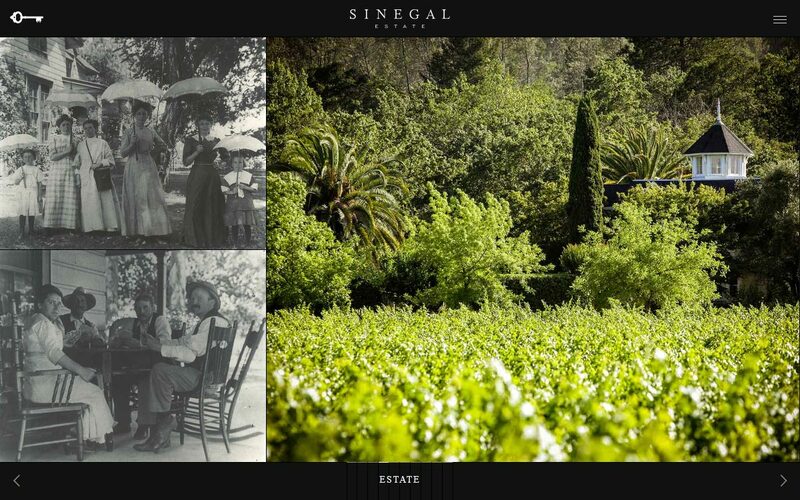 Reveal the estate and story through richly detailed visuals, high-impact video, large-scale photography, and engaging interactivity. 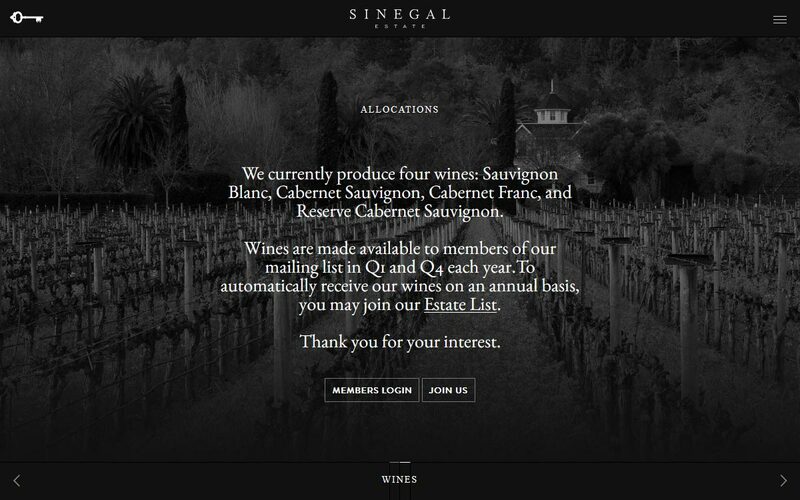 Facilitate wine sales and mailing list registrations. 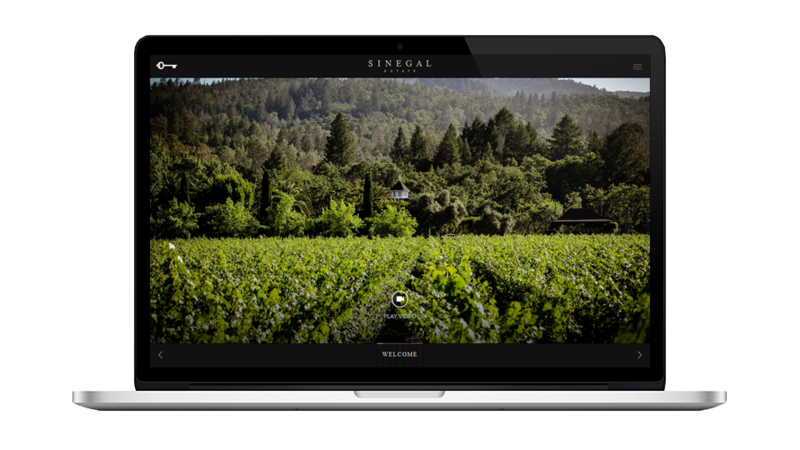 Optimize the user experience for mobile, tablet, and desktop devices.